A new set is about to come out in Hearthstone! Centered on the story of Arthas, it's called Knights of the Frozen Throne. It imagines a fanfic of Arthas's dramatic fall from grace as engulfing all nine other characters as well, and introduces a new type of card: Hero Cards. Each replaces your Hero with a new one, giving you a new Hero Power and some armor. Two of the Death Knights have been revealed so far: The Hunter one and the Shaman one. The Hunter one costs 6, the Shaman one costs 5, and they both give you 5 armor. (I expect they all will except one or two. Maybe Warrior will have more and Priest will have less? We'll see.) The Hunter one deals 2 damage to all your opponent's minions when you play it, and makes your Hero Power very interesting. Basically, for 2 mana, you can Build-a-Beast. First, you discover a Beast. This determines the base stats and text of the guy you're making. Next, you discover a second beast, this one guaranteed to be vanilla or french vanilla. It then adds the cost, power, toughness, and ability (if it has one) to the first creature and puts it into your hand. So the awesome combo people are already theorycrafting is Vicious Fledgling into Stonetusk Boar for a 4/4/4 charge that's guaranteed to get at least one Adapt off. Pretty cool stuff! And you get to wipe the board! All for 6 mana. The Shaman one just got revealed today, and it's a little less complicated. Again, it's 5 mana and gives you 5 armor, but this time its Battlecry effect is that it Evolves all your creatures +2. So all your dudes become random creatures that cost 2 more. Turn 10 Doppelgangster into this is 3 random 7-cost minions. Pretty crazy! And your Hero Power now Evolves target creature you control. First thing I have to say about this set is that the art looks particularly stellar. Eternal Servitude is some of the best art I've ever seen in HS. Overall I think they nailed the vibe, and I think their change from alternating between large sets and Adventures to just doing hybrid sets each time is working out incredibly well. 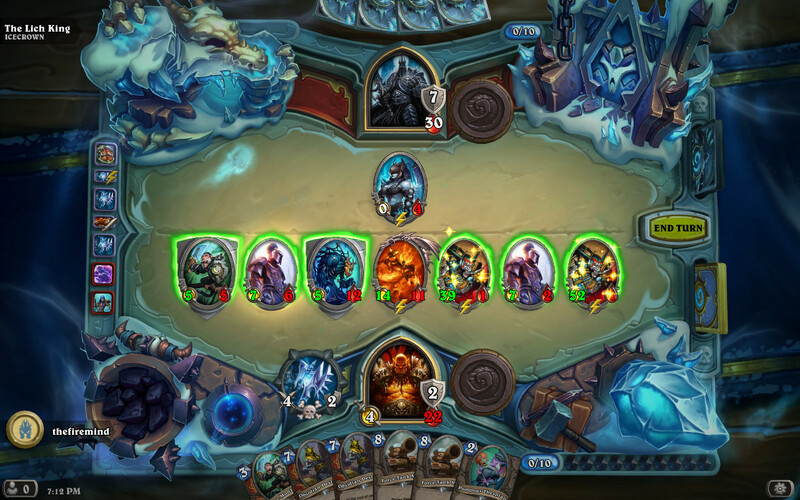 I'm really excited to see Hearthstone take the game in a direction it's never been before. With the 1-2 punch of Quests in Ungoro and Death Knights in KFT, they're really demonstrating that they aren't afraid to expand beyond just minions and spells anymore and push the game to its limits. While Lord Jaraxxus and Majordomo Executus ensure that people aren't TOO overwhelmed by the complexity of the new Hero Cards, they still imbue the game with an exhilarating spice. And I think it's cool that they finally found a way to fit Death Knights into the game without breaking their version of the color wheel. Alas, just as Magic will never get its sixth color, Hearthstone will surely never get its tenth class. But it's cool that they found a way to work them in a different way in a way that still honors the feel of what Death Knights are all about. With its focus on Hero Powers and return to Northrend, this is the first Hearthstone set that feels like a "sequel" to a previous one: The Grand Tournament. And I've got to say, I think they do the sequel thing way better than Magic does. Every time Magic does a sequel, the old one overshadows it almost necessarily. But this set feels fresh and exciting, while still paying homage to the old set in a way that keeps players who have been playing for a couple of years feel like they're a part of the continuity. All-in-all, while I'm not as hyped as I was for Ungoro (which I really think was one of their best sets of all time—if I had to rank them besides Classic, I'd say League, GVG, Ungoro, Kharazam, TGT, Naxx, BRM, Whispers), I'm still really excited for the set. What do you guys think? Are you excited? Is there anything you're still hoping to see as the remaining spoilers trickle through? Let us know, and until then, may your town always have more beds open than Stratholme. hearthstone design team always felt disappointing to me although i only judged them on the cards they released. hero cards are still just spells that do things that old cards have done before (replace your hero), and i'm not sure I'd call them particularly experimental or adventurous, which is something I'd like to see from hearthstone, although It does seem they are spreading their wings a little and I'm hoping to see more from them in the future. I liked arthas in warcraft 3 although I have only seen bits and pieces of his saga in WotLK via leveling and doing old raids for acheivements/mounts/mogs/whatevers but his story was one that I liked. I kind of get the feeling that WoW let him down and although I don't expect much in the way of storytelling via hearthstone I am somewhat excited to see some depictions of him. You missed the mage hero, Frost Lich Jaina, who summons a Water Elemental and permanently has an aura giving Water Elementals Lifesteal. Her ability still deals 1 damage but if it kills something, it summons another Water Elemental. I like Dead Man's Hand and the priest legendary. I look forward to fatigue decks, but Jade Idol is still prevalent at the moment. This will be super silly. Mind breaker is the death knight killer. Personally, I've been pretty impressed with blizzard lately. Un'Goro was one of the most interesting and diverse metas, with new decks being discovered right up until the end. I think that they're finally getting to the point in development where they understand their game well enough to design in a way that creates an optimal gameplay experience. Death knights are Jaraxxuses for every class. This isn't a new mechanic, but it's one that's historically been limited to two cards (Jaraxxus and Majordomo). Of the ones that have been spoiled so far, the hunter one looks weak because the hunter class is bad at playing from behind on board, and the battlecry doesn't do enough, the mage one looks very slow and its hero power is weak against creature-light decks, and while the shaman one is reasonably cheap and has a nice battlecry, you really miss your old hero power because you rely on your totems to enable evolve, bloodlust, flametongue, and thing from below. None of them stand out to me as particularly powerful, but they do look fun to play with. Bonemare is a problem for arena. Like, a really big problem. It's way too powerful for a neutral common. Blessing of kings is already one of the strongest paladin commons in arena, and this costs 3 extra for a 5/5 and taunt. When this gets played against you, you are often going to just lose on the spot, and as a neutral common in the most recent set (which has 3x frequency of appearance as cards from other sets), it's going to show up all the time. This really should have been an epic, or at least a rare. THEY FINALLY PRINTED DONATE IN HEARTHSTONE. I love that warlock is becoming the grief class now. My first legendary opened was the 3-cost prince. I got Jaina from the prologue, then Hadronox and Deathstalker Rexxar. I got 2 mana prince, hadronxixanix, anduin and professor putricide which I still need to test out. I got a Scourgelord Garrosh from the adventure, and opened a Sindragosa. Nothing I have any intentions to play in the immediate future. I dumped my arena dust bank on crafting a reno priest deck. I cribbed Brian Kibler's list, except I cut his eternal servitude package (eternal servitude, lich king, obsidian statue) and devour mind (which is too slow for my tastes) for a medivh package (Medivh, Mind Control), a twilight drake, and a stonehill defender, which is a more flexible card than devour mind imo. I could switch to the servitude package if I start running into too much weapon removal for medivh to be good. All in all, the deck is a blast to play and quite powerful. It's hard to lose once you get the Anduin-Raza machine gun online, and you have so many powerful value cards (Lyra, Elise-Shadow Visions, Anduin, Medivh, Kazakus) that it's almost impossible to run out of resources. I think the deck's only weaknesses are that you can sometimes not draw the specific answers you need (like dragonfire vs a wide board or death vs a big threat), and that you probably can't beat jade druid's lategame. I'm missing only the Warrior win in order to get him. I used the usual Divine Spirit + Inner Fire combo for Priest, Jade for Druid, and I tried to get fancy with an evolve deck for Shaman (since my free DK was Thrall) but ultimately I won thanks to the Kel'Thuzad + Ancestral Spirit combo. For the other classes I went aggro with Murlocs (you can do it with Hunter too, as long as you put less creatures than the amount that would kill you). For the Warrior, unfortunately, aggro cannot work, so I left the class for last, and I'm deciding what to try. I saw a video that suggested to use Alarm-o-Bot + fatties to put into play with it + cheap taunts to protect it, maybe I'll try that strategy. For anyone who hasn't started yet: as a rule of thumb, you need to either aggro the Lich King down, or have a way to out-value him if you plan to go to the late game. I might have stated the obvious, but what I meant is that simply controlling the board is usually not enough. Last edited by thefiremind on Sun Aug 27, 2017 12:25 pm, edited 1 time in total. Reno control lock, hunter was stitched tracker reno and rag to get 2 renos and 2 rags. Mage was molten giants and I just won on like turn 4. Dragon priest is incredibly strong with cobalt dude and the 2/8 thay doubles every turn. Palladin was murlocs, rogue was agressive with nzoth, druid was incredibly easy, just ramp into fatties. For sbaman i used eggs and evolve and for warrior I used a sort of midrange deck with frothing and dragons to grow out of control after frostmourne. I have paladin and warrior left. I crafted Keleseth on day one and regreted nothing, feels so rewarding when he is actually decent. Wild Zoo is very fun.